Even in a well-lit parking lot, there are always blind spots where the overhead spotlights cannot reach. 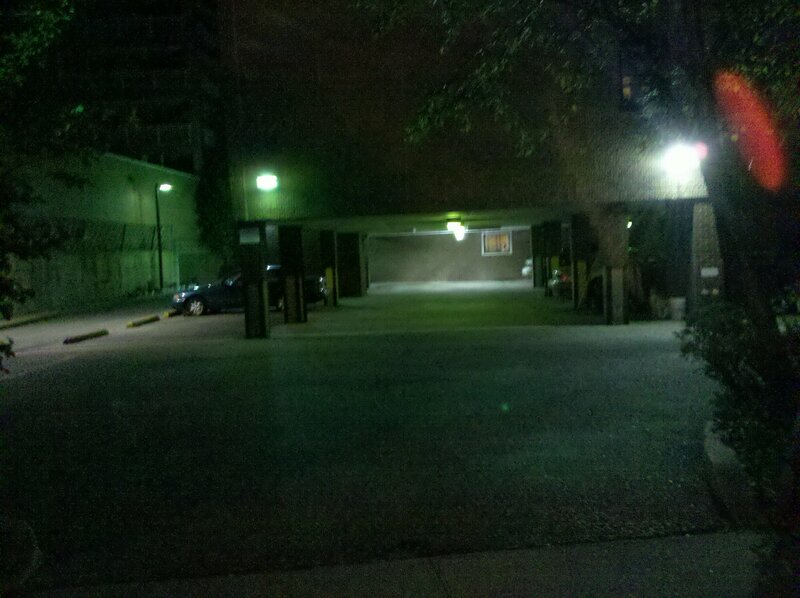 Here, beyond the first pillar to the right, there is an unlit area between cars and it appears that something or someone is there. The only way to find out would be to approach the site. This would not be recommended.